AIRPORT TRANSFERS, ACCOMMODATION, LOCAL GUIDE, WALKING TOURS, RACE TRANSFERS and RACE ENTRY INCLUDED. Four stages. Four days. Spectacular landscapes. VolCAT 2019 will be held on the 18,19,20 and 21 of April. 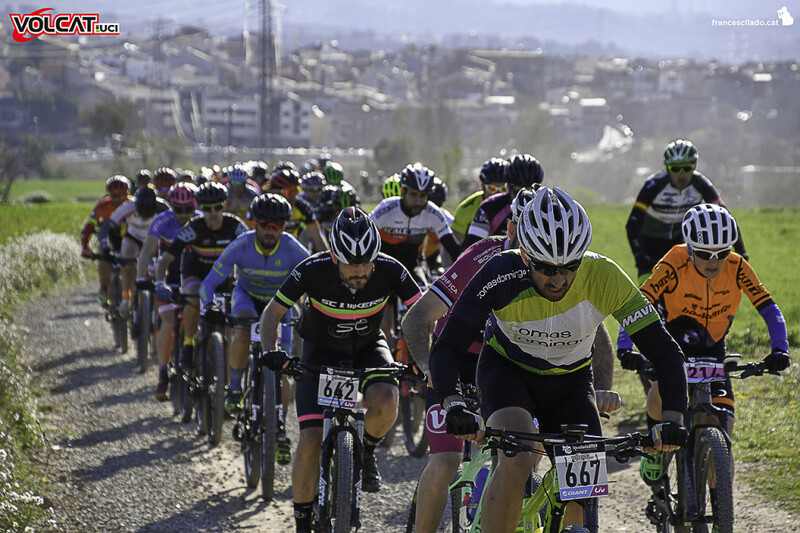 VolCAT gives UCI points in the XCS S2 category, ensuring that the race is a meeting point for the international elite cyclists. The race crosses the singular landscapes of central Catalonia, going through a variety of territories that will be enjoyable for the competitors, accompanists and the public. The emotion of VolCAT is more alive than ever, with new trails to discover in the heart of Catalonia. You can compete in PRO level, to get UCI points of the UCI S2 XCS category. You can also compete in the OPEN category. In the OPEN category it is possible to take part in teams. 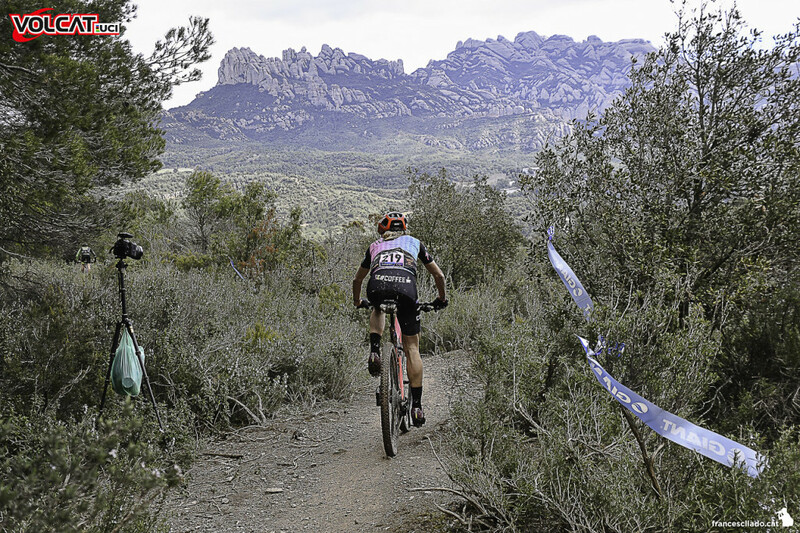 · The oldest mountain bike stages race in Spain and one of the most ancient in Europe. Barcelona’s unique blend of Catalan culture, distinctive architecture, developed tourist infrastructure and lively night life makes it the 10th most visited city in the world. It is home to Europe’s best-preserved Gothic Quarter, as well as amazing architectural works by Antoni Gaudi. 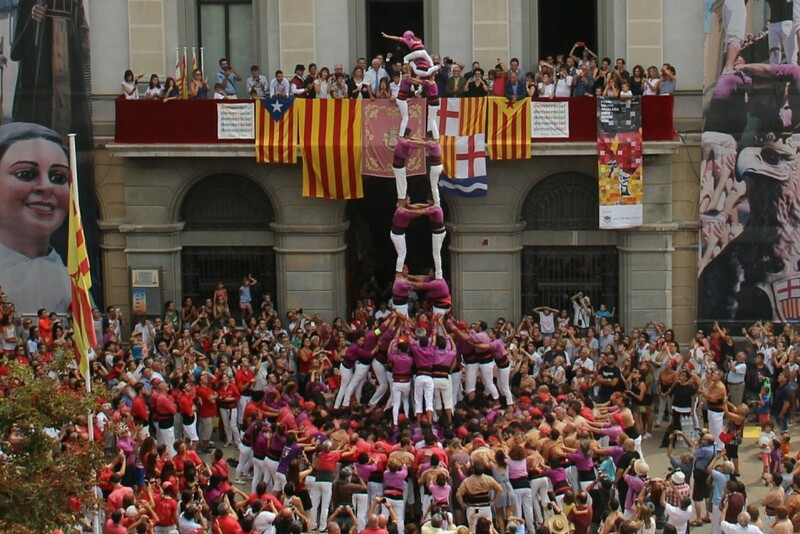 Barcelona is, without a doubt, one of the world’s greatest cities. The fantastical Sagrada Família basilica and other modernist landmarks designed by Antoni Gaudí dot the city. Barcelona is known for their Mediterranean climate with an average high temperature of 17 degrees in the April months. Igualada is a municipality of the province of Barcelona in Catalonia, Spain. It is a rich agricultural and wine-producing district. The city consists of an old town, originated in the 11th century, with narrow and irregular streets, including the remains of a fortress and ramparts, plus a new surrounding town with regular and spacious streets and many fine houses. The city is 60 kilometres from Barcelona and 20 kilometres from the famous mountain and monastery of Montserrat. Located in the exclusive Sant Gervasi neighbourhood stands the fantastic hotel Catalonia Mikado. It has a beautiful interior garden patio as well as an outdoor terrace with pool and jacuzzi. The city centre is 15 minutes away with the underground metro. We provide all clients with a Mobile travel App which can be installed from both the Apple and Android app store. 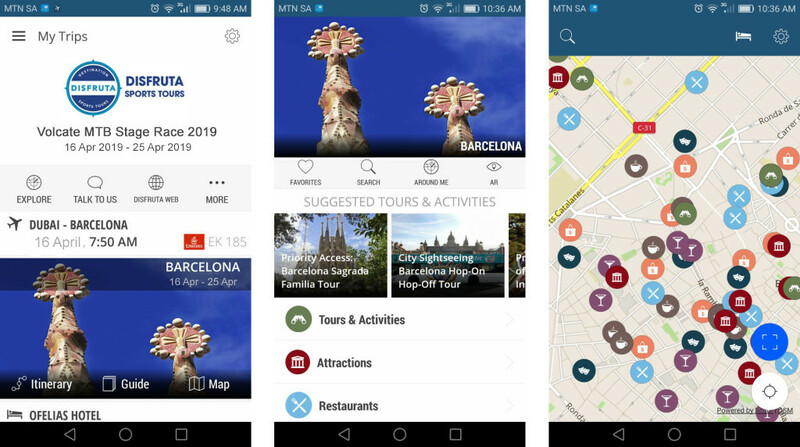 The application includes offline maps which assists you in locating tourist attractions as well as the nearest restaurant, coffee shop, shopping mall, etc. Succeeding airport transfer and hotel check-in you have the opportunity to assemble your bicycles. The rest of the day is at leisure. Today we enjoy a pre-breakfast easy paced flat ride in and around Barcelona. After breakfast we will make our way to the race village in Igualada for race registration and bike storage. After an early breakfast we make our way to the race village for the start of Volcat stage 1. Late afternoon we enjoy an optional short walking tour where we take in some of the amazing architectural works by Catalan architect Antoni Gaudi – Casa Vicens, La Pedrera, CasaBattlo. After an early breakfast we make our way to the race village for the start of Volcat stage 2. After an early breakfast we make our way to the race village for the start of Volcat stage 3. After an early breakfast we make our way to the race village for the start of Volcat stage 4. The evening we enjoy a celebratory dinner together at a restaurant in Barcelona to share the experiences of the race. After 4 days of racing we enjoy a day off the bike to enjoy some of the best views of Barcelona. We start by taking in the breathtaking views from the peak of Tibidabo Mountain, the highest point of Barcelona’s Collserola Mountain range. You also have the opportunity to visit the famous Sagrat Cor Church as well as the Tibidabo Theme park. 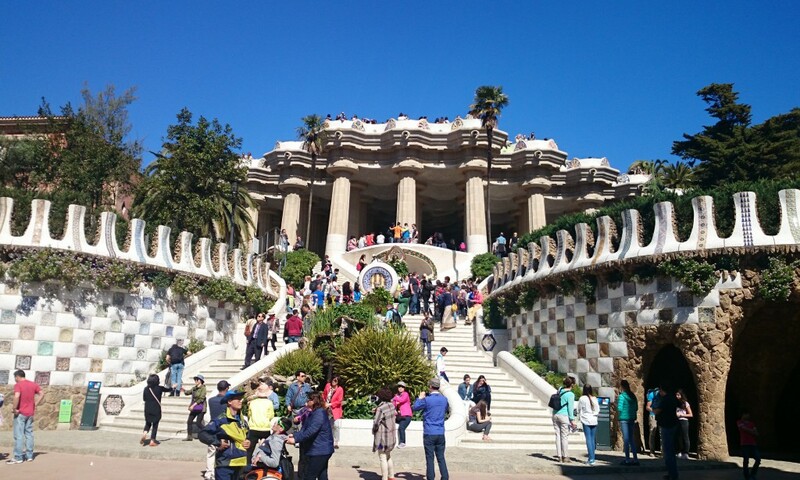 We continue our walking tour by visiting Park Güell, one of the masterpieces of Antoni Gaudi. The park is listed as a UNESCO World Heritage Site. It features some of the best views of the city, peaceful greens, winding paths and many sculptures and mosaics designed by Gaudi himself. Today we enjoy a walking tour taking in some of the best of Barcelona’s old town as well as the city’s newer developments. We start from Europe’s best preserved Gothic Quarter and ending at the iconic La Sagrada Familia. This morning we enjoy an MTB Ride taking in Barcelona’s Collserola Natural Park. The Collserola is the largest metropolitan park in the world, 22 times larger than Central Park in New York. Hotel check-out and airport transfer for your departure from Barcelona El Prat Airport. Late afternoon we enjoy an optional short walking tour where we take in some of the amazing architectural works by Catalan architect Antoni Gaudi – Casa Vicens, La Pedrera, Casa Battlo. Get a kick out of.